CMSWillowbrook worked with Cameron University in Lawton, OK to provide pre-construction and construction phase services for four projects running simultaneously. The Promise of Excellence Act was used to provide funding for campus improvements and ADA compliance upgrades. Building includes two floors of classrooms, computer lab, conference and seminar rooms, a career center, faculty and administration offices, a 114 seat tiered lecture auditorium. First floor design includes the kitchen and common areas, food court, campus bookstore, great hall, game room and coffee bar. The second floor contains a ballroom/ banquet hall to seat 455, a large pre-function area, meeting and study rooms, an executive board room, and 1,500 square foot balconies on both levels. 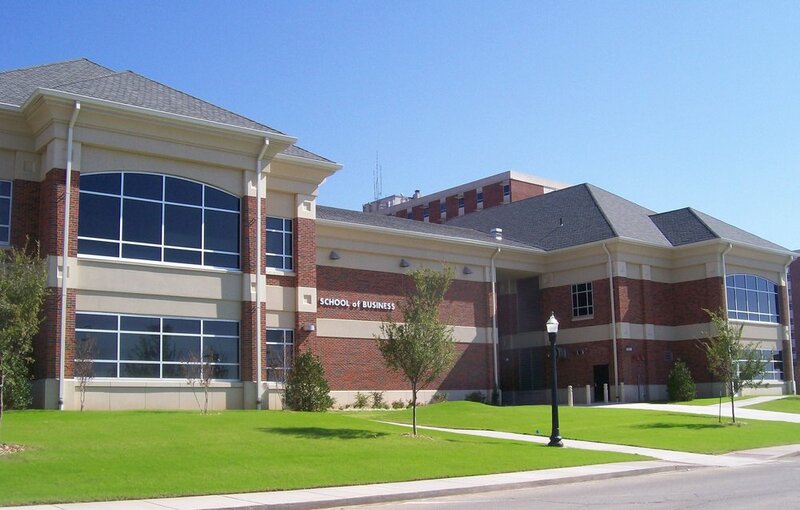 Includes dedicated space for technology incubator, computer systems and support services, academic lecture halls, conference and networking center with theater break-out rooms and catering facilities, Geothermal System and an Emergency Operations and Data Disaster Recovery Center in partnership with the City of Lawton.